Vania David (Vania Ishou Davoodi) was born in the Assyrian village of Saatloovi, Urmia, Iran in 1936. From childhood, Vania was a gifted child interested in music. He took pride in his heritage as an Assyrian and developed a passion for Assyrian folk music. After more than a year and half of hard work of learning music, Vania was able to save enough to buy his first musical instrument, an accordion. Vania was determined to take instructions and learn the art of music. By the time Vania was 18 years old, he had already started to compose musical melodies that clearly reflected his love for his people. It was not too long before the officials in the most prominent radio station in Tehran noticed this young artist and recruited him to write music for the radio broadcast, a position that was highly respected at the time. 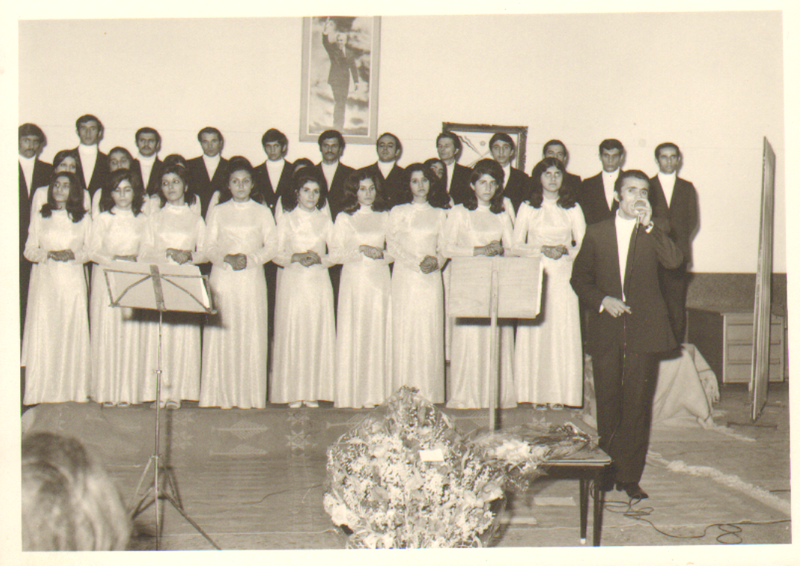 Vania managed to write over 25 original pieces of music for radio Iran which were mostly performed by professional musicians and were recorded by the Assyrian vocalist, Albert Khoshaba. 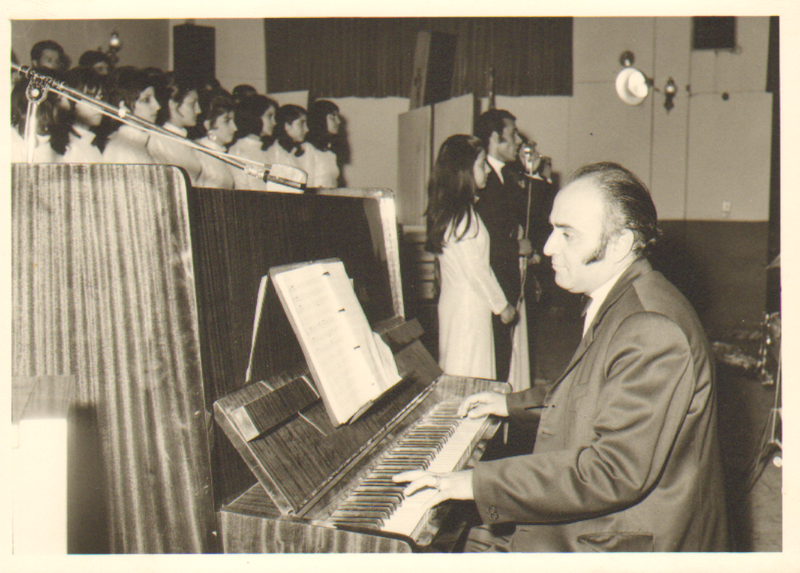 Vania’s exceptional talent and his unique melody were so evident that the radio Iran’s officials offered him a permanent position. However, Vania’s love for his people was so strong that declining the offer became an easy decision. He was determined to use this God given talent for his people rather than his personal fame and profit. After leaving radio Iran, Vania started to write Assyrian songs that clearly captured the hearts of all who heard them. In 1962, Vania met his soon-to-be wife, Joan, a young Assyrian teacher. Joan’s love and support encouraged him to tend to his call. While Vania was fully engaged in his career as a dentist, he founded “The Assyrian Folk Choir.” Vania, along with his very close friend Misha Ashoorian, who was one of the most known poets in the Assyrian community, managed to gather a group of 75 Assyrian men and women and perform some of the most authentic and original Assyrian folk music. 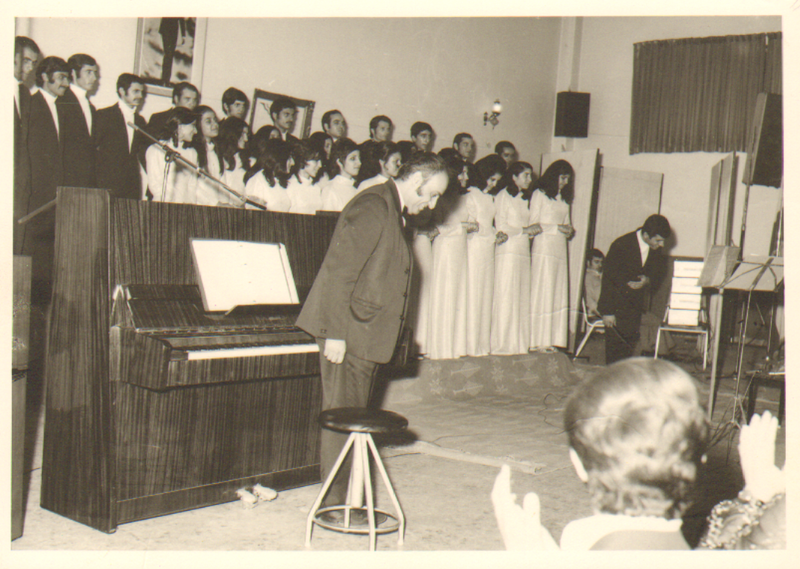 Over 25 concerts were performed in various cities in Iran where Vania’s melodies were showcased. The history of Assyrians is full of sweet sounds of Vania’s melodies. Over 220 original songs were written by Vania over the past five decades of which over 160 have been performed by various Assyrian vocalists. In 1979 Vania took his talent to a new level and wrote a classical piece called “The Greatness of Bet-Nahrin.” In this classical piece, Vania brought the world of Assyrian folk melody and introduced it to the world of classical music, a masterpiece in the history of Assyrian music. In 1981, Vania concluded his activity before taking a back seat in the world of Assyrian music by writing a book featuring 25 of his most cherished songs.